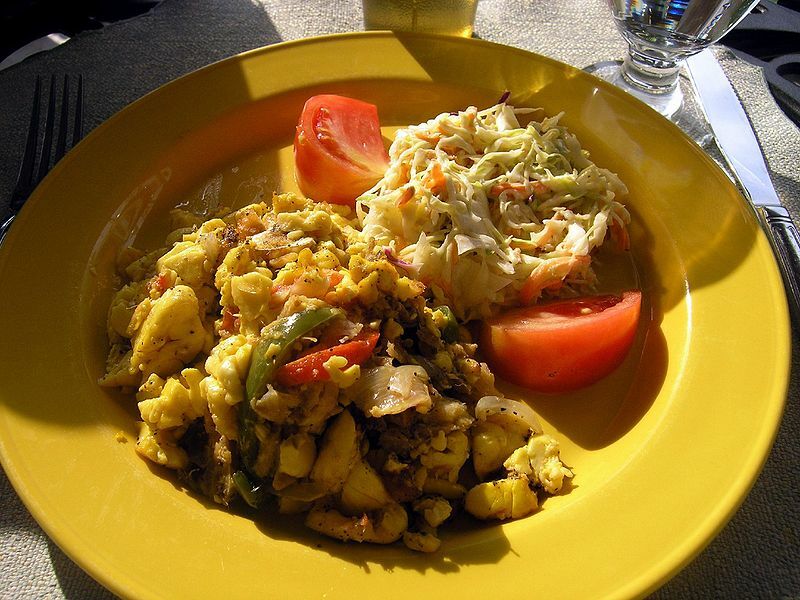 Ackee and saltfish is a traditional Jamaican dish, internationally known as Jamaica's national dish. It spread to other countries with the Jamaican diaspora. Left: Ackee and saltfish served with coleslaw and tomato. Since the 1700s people from the island of Newfoundland brought dried and salted cod (salt cod) for the Jamaicans in order to trade for Rum. Salt cod is now one of the main ingredients for ackee (a type of fruit) and saltfish. To prepare the dish, salt cod is sautéed with boiled ackee, onions, Scotch Bonnet peppers, tomatoes, and spices, such as black pepper and pimiento. It can be garnished with crisp bacon and fresh tomatoes, and is usually served at breakfast alongside roast breadfruit, hard dough bread, or boiled green bananas. In the United Kingdom, Canada and the United States, ackee and saltfish is eaten widely, although canned ackee is more often used than fresh. 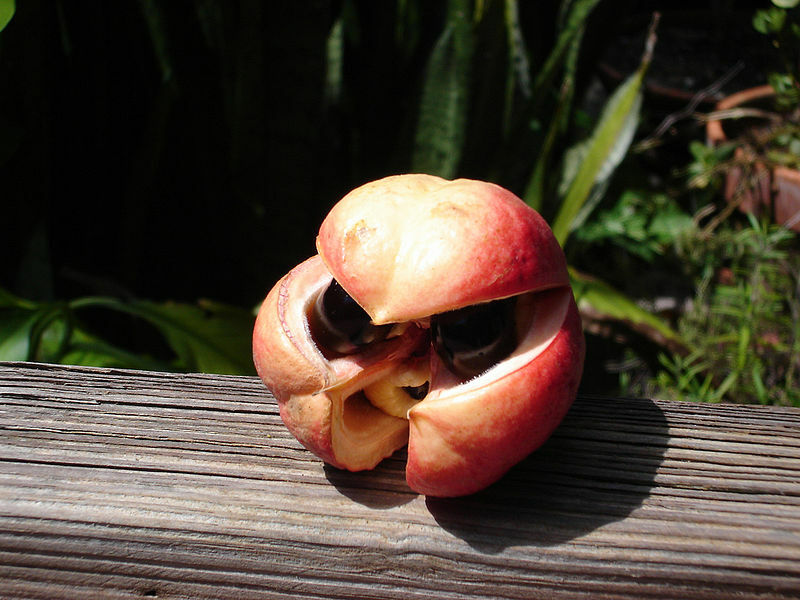 When cooked, ackee has the texture of a scrambled egg.